Having a new Weber grill is great! But knowing how to cook on it is even better! 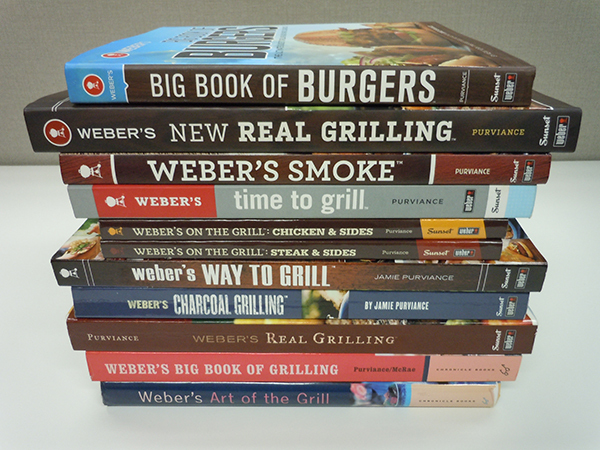 Whether you are a novice griller, a first-class chef, a competitive griller or something in-between, Weber has always had advice for you. Our earliest grills came with a cookbook of sorts. The first was very crude – not much more than a pamphlet really! But it had George Stephen’s favorite recipes that he wanted to share with Weber owners so they could not only understand how his invention worked, but that they could always be successful grillers. Building on the enthusiasm of growing grill sales, with the purchase of a Weber kettle, the customer received a perforated warranty card. The bottom portion was a postcard that included an offer for a small 32-page cookbook for 50¢. 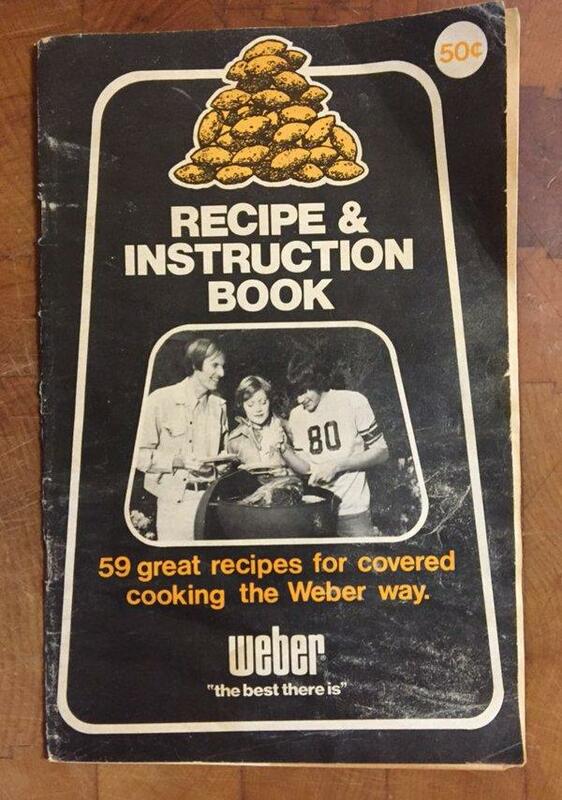 Customers would mail them to Weber with 2 quarters taped on the card for their recipe booklet. The postcards made it through the US mail in those days and were processed. For many of George’s children, pulling the quarters off of the mailed-in postcards was their first job in the family business! In the ‘70s, Betty Hughes began developing recipes for books for Weber grilling, such as Barbecuing the Weber Covered Way, that charcoal and gas kettle enthusiasts could buy. Many other books followed by other authors, aimed at the growing Weber community. Elegant Fare from the Weber Kettle, by Jane Wood, for kettles, Grill Out, tested by Better Homes and Gardens and Grill by the Book, a 4-book series for both charcoal and gas models by Betty Hughes and Jerry Anne DiVecchio, were just a few. Weber’s Grill-Out Line was an opportunity to get grilling advice via a phone from a staff of home economists April through Labor Day, who also staffed the Butterball hotline in the fall. Led by Weber’s Betty Hughes, they became Certified Barbecue Experts, learning the Weber way of cooking. Callers could request a free booklet of recipes each year, developed by our marketing team. 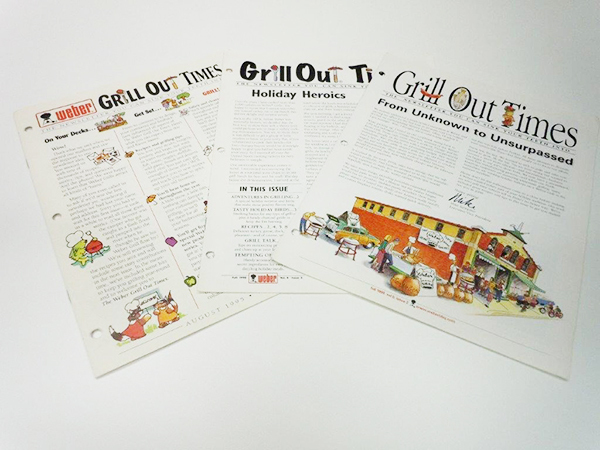 In 1995, the first Grill-Out Times Newsletter was published and mailed to about 200,000 people. The last issue was published in the Spring of 2005, and was mailed to approximately 1.5 million loyal readers. As our website developed, Weber Nation began, replacing print with internet technology. Recipes and videos became available at our fan’s fingertips. But, our consumers wanted and deserved more. 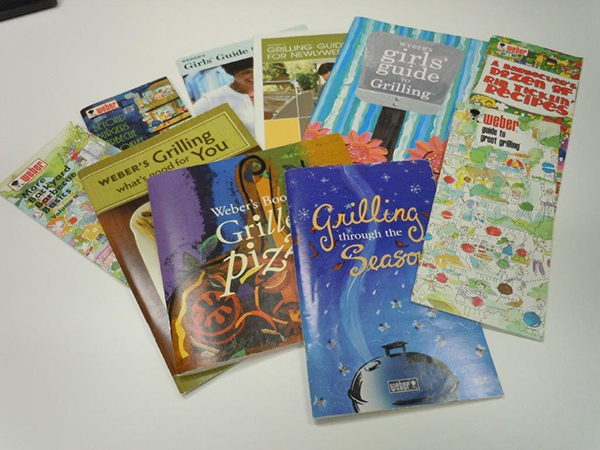 Our line of cookbooks began to expand in 2004, with the publishing of Art of the Grill, by Jaime Purviance. This was the start of the “coffee-table” style of cookbooks that are the centerpiece of true grilling enthusiasts. This book not only sold in bookstores, but was packed with our top-of-the-line Summit gas barbecues. In 2005, a special book was developed that showcased the recipes of active and reserve Marines from around the country who competed for top honors. 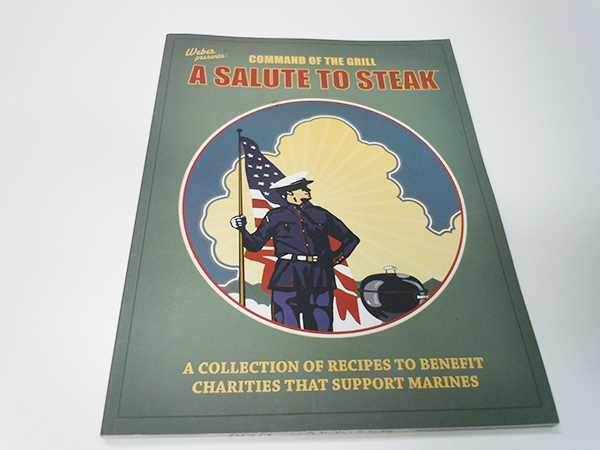 Command of the Grill – A Salute to Steak was the result, with all proceeds from the sale of the grilling books going to charities that support wounded Marines and their families, and the families of Marines killed in the line of duty. Today, consumers can go to weber.com to see recipes to grill nearly anything, and sign up to receive a Recipe of the Week via email every Friday. Weber Nation on weber.com is a great place for fans to tell their own stories and share their recipes and experiences cooking on a Weber. Each year, we receive requests from consumers who had an old favorite Weber recipe, loved by their family, but they can no longer find it. They are desperate to relive the taste and memories that recipe evoked. When we locate it for them, the Weber relationship with that fan is rekindled ten-fold. And so it goes……….we will continue to develop more great recipes and cookbooks with the help of renowned chefs and developers such as Jaime Purviance to keep the love of grilling with a Weber growing. Keep watching! You never know what will be next!